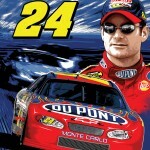 When you hear the name Jeff Gordon, you probably think of going around in circles while being assaulted by the smell of burning rubber mixed with gasoline. The thought of wine, no less good wine, probably never comes into your mind. I’m about to change that, and talk about not only Jeff Gordon’s passion for good wine, but tell you why this delicious red wine is a perfect choice around the holidays. After winning his first championship in his sport’s premier series in 1995, Jeff Gordon went to London and wanted to celebrate. Jeff ordered a Joseph Drouhin Batard-Montrachet, and says it was then that his passion for fine wine began. He had never seen a white wine decanted, and upon tasting it, declared the white Burgundy wine “liquid gold.” Jeff went on to launch the Jeff Gordon Collection of wines in the fall of 2005 with a 2004 Carneros Chardonnay, working with winemaking legend August “Joe” Briggs, owner of Briggs & Sons Winemaking Co. Jeff said when he decided to start a wine line, he asked around for a great winemaker, and Briggs name came up over and over. The two met and starting working together, releasing a Napa Valley Merlot, Cabernet Sauvignon, and their flagship wine Joie de Vivre, a red wine blend. 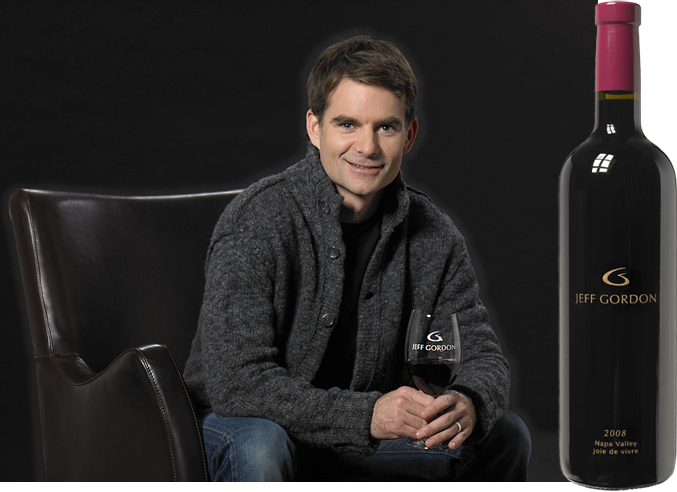 I was skeptical when asked to join the virtual wine tasting with Jeff Gordon Wine on Twitter. I had just written a post about celebrity endorsed wine, and many of you shared my views; it’s more gimmick than good. And, I knew nothing about Gordon or his wine line, other than they were asking me to sip on what I figured would be $61 worth of gasoline to power his NASCAR ride. Luckily, I couldn’t have been more wrong. 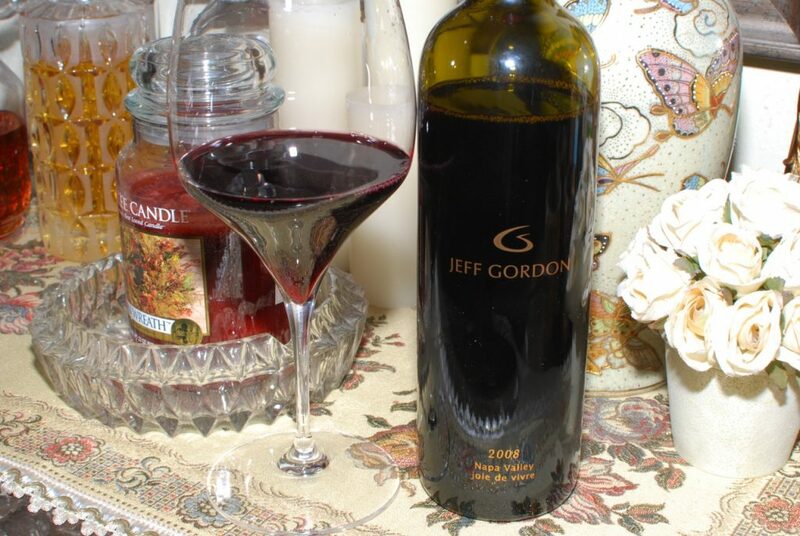 The Jeff Gordon Joie de Vivre 2008 red wine delivered amazing flavors that made every sip worth the price. The 2008 Joie de Vivre is a blend of 50% Cabernet Sauvignon, 40% Merlot and 10% Syrah. Most of the fruit is sourced from Napa, with Cabernet Sauvignon coming from Corbett Vineyards (Spring Mountain), the Merlot from Solari Vineyard (Calistoga) and the Syrah from Page Nord Vineyard (Yountville). There is 15% Sonoma Valley Cabernet Sauvignon from Monte Rosso in the blend. The wine is aged 20 months in a mixture of French and American oak, of which about 30% is new, the rest 2 to 3 year old barrels. It’s 14.5% ABV, alcohol by volume, not a “small” wine, but not big by California standards. The alcohol may be approaching the high side, but that doesn’t show up in the palate, at all. Like most big, tannic red wines, this wine needs to breathe. I decanted it for about an hour, but honestly think it could sit for two hours and open up even more. The bouquet of the Joie de Vivre is sweet red fruit, reminiscent of chocolate covered cherries. My initial tasting notes were a BIG big palate, dark cherry with big spices on the finish, and it being very dry (tannic). However, with just thirty minutes more air, decanting for an hour and a half, the palate smoothed out considerably, with warm Christmas spice well integrated with the round dark cherry fruit. The complexity continued to unfold, with notes of leather being intertwined with the fruit and spice. I was sad that the wine was gone before the wine sat in the decanter for 2 hours. I think it evolved quite nicely. While I paired this red wine with dried salami and cheddar cheese, I think it’s a perfect holiday or Christmas wine. Though there is no rule you can’t have white wine in December, I tend to prefer heavier red wines, especially with the foods that are typically on a holiday table. Our family celebrates Hanukkah and Christmas, and red meat seems to be served for both holidays. With Hanukkah, we often serve a brisket of beef, usually in a tomato based gravy, while with Christmas we often have a delicious Prime Rib, usually coated with herbs and garlic. 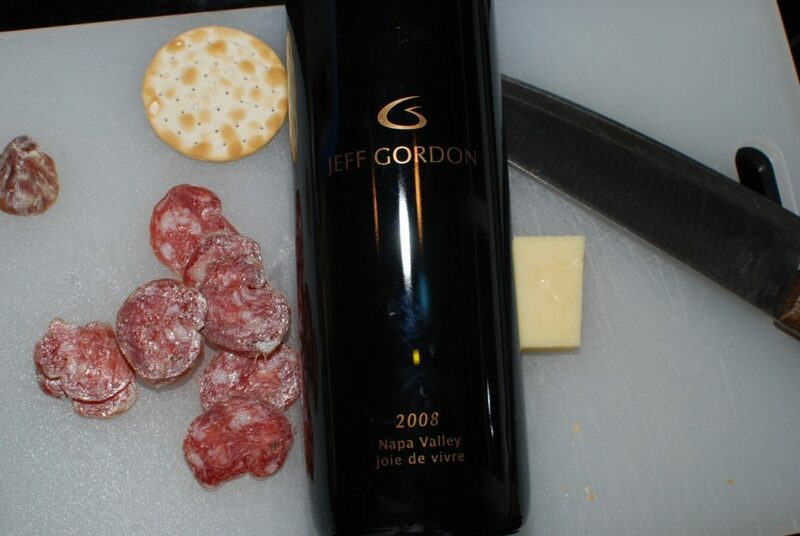 The Jeff Gordon Wines Joie de Vivre would pair nicely with either dish, as well as lamb or even goose. There are only 254 cases of this great red wine produced, and the distribution is quite limited, mainly in restaurants. You can of course order Joie de Vivre direct from Jeff Gordon Wine online.I was fortunate enough to receive this wine as a sample, but my opinions are based on the high quality of the product, not the fact that it was free. Now that I’ve told you this celeb wine will rock your socks off, how likely are you to try it, or other celeb endorsed wines? Let me know below!